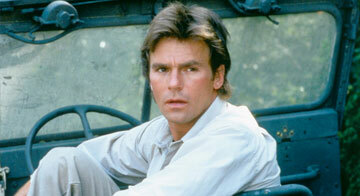 Remember MacGyver, the inventive adventure man from the 1980's television show? One professor at the University of Southern California is looking to find "The Next MacGyver" by encouraging competition among young women in engineering. Check out this article that details the competition. Maja Mataric, the vice dean of research for the Vitterbi School of Engineering, has partnered with the National Academy of Engineering and the MacGyver Foundation to create a unique type of competition. Playing off of the entertainment industry, Mataric's contest challenges young women to create ideas for television that feature females using engineering to solve problems. Over 1,800 contestants entered their scripts to the judges. Five winners will eventually be chosen to receive $5,000 and an opportunity to work with a producer to develop their script. The goal of the contest is to break down stereotypes and illuminate STEM career paths for young women. What do you think about Mataric's creative way of driving women's interest in STEM careers? We would love to hear your comments below.